Look elegant and get the desired fit with Adar women's double pocket snap front scrub top that is skillfully fashioned to give you an appealing look with functional features. 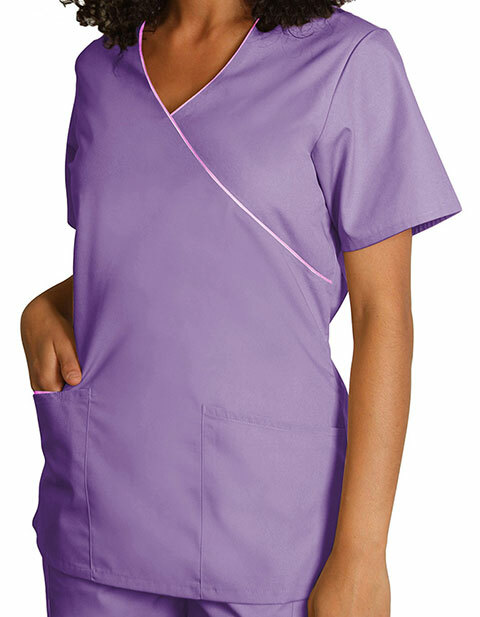 The V-neckline and snap front ensure comfort for long shifts. The short set-in sleeves, multiple pockets, and vented sides add functionality to this super modern jacket.